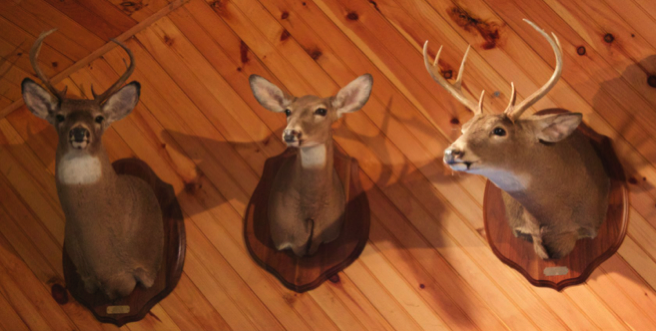 Here you can see examples of some of Gene’s restoration projects. A Land Locked Salmon, mounted by Nash of Maine about 1903. 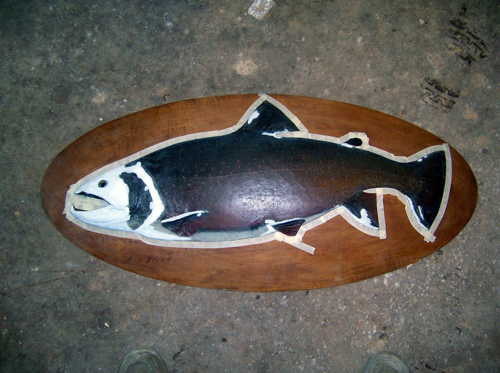 Herb Welch Landlocked Salmon mounted in the early to mid 1900's. This is the oldest mount I've restored. Billed as the largest Brook Trout caught on a fly in the world and was displayed at the Worlds Fair in 1898. Caught in Rangeley, ME. It had been restored by someone unknown who really went heavy on resin and thick finish. I totally stripped the paint, then repainted with a minimum of paint and finish. I replaced all fins. Lastly I refurbished the background painting. It was a painted on a veneer which was separating from the main backing board. A very large Brook Trout. These "Nash" of Norway Maine 1903 came to me in pretty rough shape. It has been a true honor to be the one to restore these beautiful works of the old masters. These are a real Maine treasure. A restoration of a Swordfish. 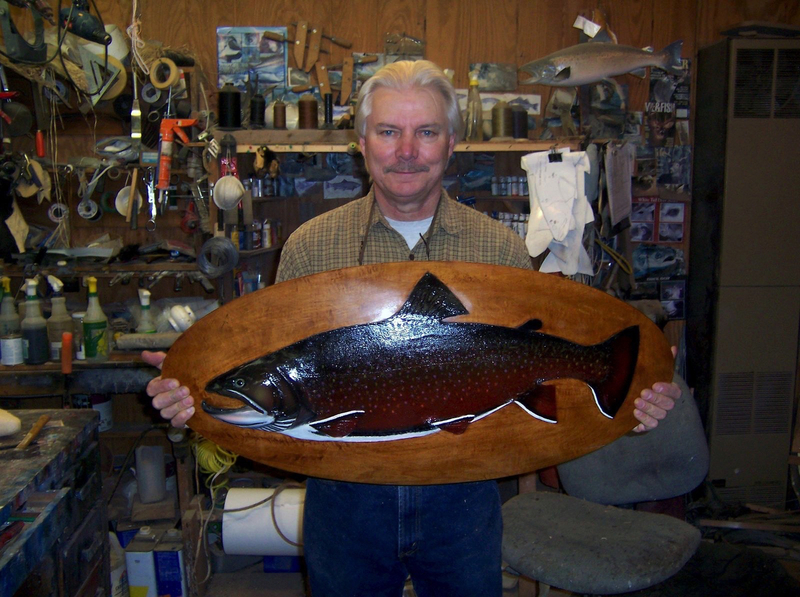 A restoration of an old Nash from Maine. Taxidermy mount from the early 1900's.